Launches an Arc Mine, which arms after a brief delay, dealing area damage over time. Afterwards, Arc Mine will explode for additional damage. 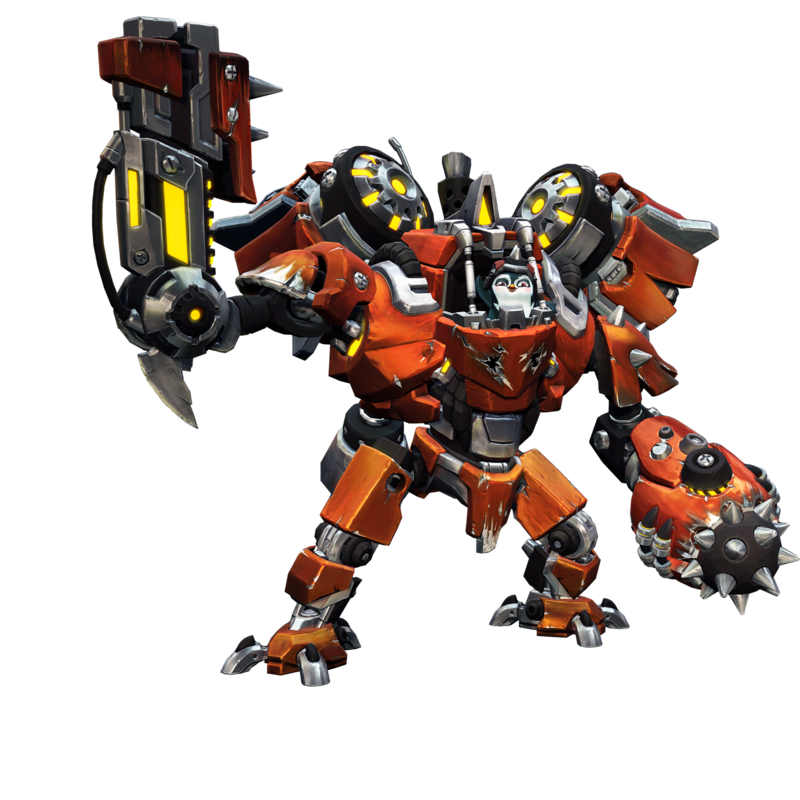 Deploys an energy field that blocks enemy damage. Firing a Railgun shot through the field increases projectile velocity. 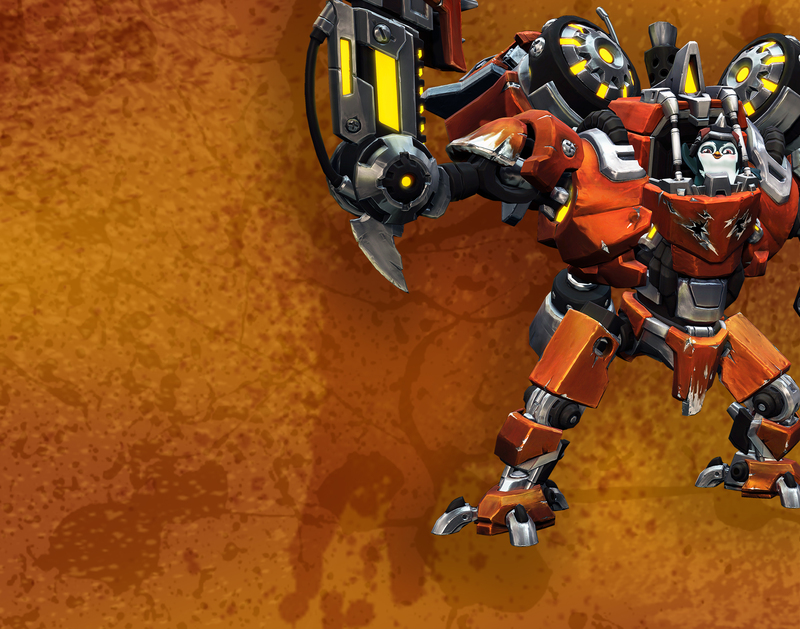 Transform your mech to charge up a powerful laser that deals continuous damage over a period of time. Double-jumping while holding a direction grants Toby a quick boost in that direction. Toby's powerful Railgun can be charged, dealing increased damage at higher charge levels. Shooting Toby's Arc Mine with a Railgun blast will detonate the mine, dealing extra damage to nearby targets. Allies who pass through Toby’s Force Field are hastened for a brief time. While zooming Toby’s Railgun, all enemies (including cloaked enemies) are highlighted in the scope. Enemies damaged by Arc Mines are slowed. Toby’s Boosters gain one additional charge. Toby’s Railgun projectiles split into three blasts when fired through a Force Field. Decreases the time required to fully charge Toby’s Railgun. Enlarges Force Field’s effective range. Increases the range that Arc Mines can deal damage. Rather than a single focused beam, Core Discharge charges up three blasts firing one after the other. Railgun projectiles deal bonus damage when passing through a Force Field. Allies standing behind Toby’s Force Field are granted bonus health regeneration and attack speeds. Increase Toby’s maximum shield strength. Toby gains increased damage resistance while his Boosters are out of charges. Arc Mines deal increased damage to enemy shields. Fully charged Railgun shots penetrate walls, objects in the world, and enemies. Increases Force Field total health. Increases Arc Mine base damage. Enemies damaged by Core Discharge blasts are slowed.